I looked up this bird in The Cornell Lab of Ornithology app and it’s either a Mountain Chickadee or a White Crowned Sparrow. 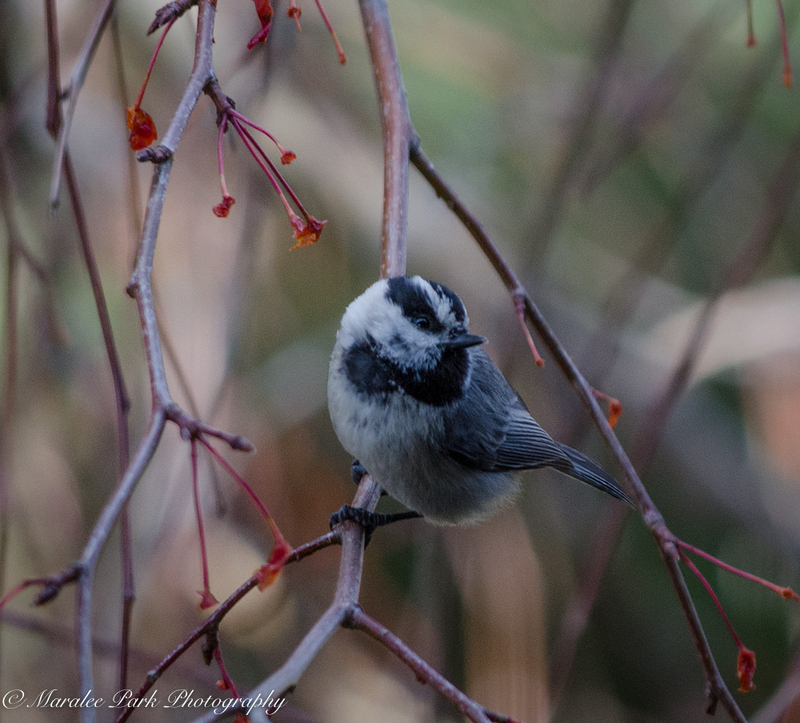 I’m leaning toward the Mountain Chickadee because of the coloring and beak color. I’ll be taking more photos of these birds because they are plentiful now and so darn cute.